Our chlorine-free formula is packed with tough OxiClean stain-fighters and brighteners to help keep your whites looking like new longer. It is also safe on colors when used as directed. Throw a Pak into every load of laundry! Maintains and revives whites to help them looking like new longer! Keeps colors bright! All this... without chlorine damage! No bleach smell, Safe on colors, Powerful freshness, For all machines including. Brightens & whitens laundry without chlorine bleach! 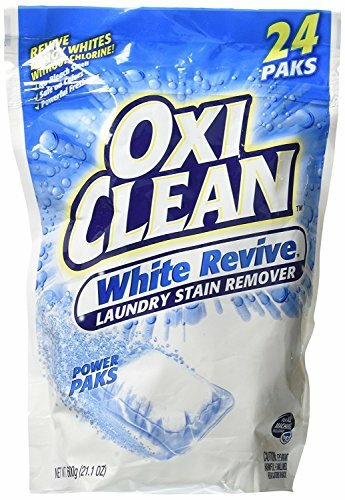 Gets the tough stains out! Revives dingy whites! CLR PRO Calcium, Lime and Rust Remover, 128 oz Bottle - Includes four per case.